This week CIMSEC is hosting articles exploring the U.S. Navy’s Distributed Lethality concept. The U.S. Navy is investigating distributed lethality as a potentially game changing approach for the conduct of naval warfare. 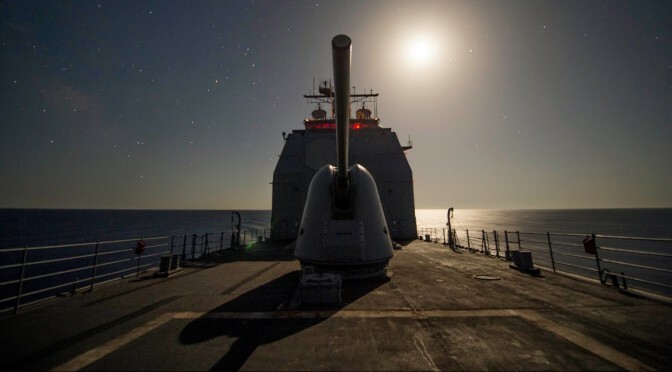 We at CIMSEC are grateful for the Distributed Lethality Task Force’s partnership in launching this topic week, for the thought-provoking insights of our contributors, and to the sustained interest of our audience. The Task Force’s call for articles may be read here. Below is a list of articles featuring during the topic week, which will be updated as the topic week rolls out and as prospective authors finalize additional publications. Dmitry Filipoff is CIMSEC’s Director of Online Content. He may be contacted at Nextwar@cimsec.org.